With a tow, row, row, row, row, row, To the British Grenadier. Or knew the force of powder, To slay their foes withall. Sing tow, row, row, row, row, row, For the British Grenadier. We throw them from the glacis, About the enemies’ ears. With a tow, row, row, row, row, row, for the British Grenadiers. Some die of drinking water, Some die of drinking beer. Some die of constipation, And some of diarrhea. But of all the world’s diseases, There is none that can compare. With the drip, drip, drip of the syphilitic prick, Of the British Grenadier. When he goes forth in battle, With his weapon in his hand. The lasses fall like cattle, There’s none can make a stand. And when he does retire, To take his well earned rest. There burns an ancient fire, To do what he does best. Ant yet the truth is bitter, There’s one thing that they fear. It’s the drip, drip, drip of the syphilitic prick, Of the British Grenadier. I like the girls who say they will, And I like the girls who won’t. I hate the girls who say they will, And then they say they won’t. Are the girls who say they never will, But look as though they might. UPDATED: Lyrics of an American patriotic version. Huzza, huzza, huzza, huzza, For free America! Huzza, huzza, huzza, huzza. For free America. Huzza, huzza, huzza, huzza. For free America! Should Europe empty all her force, We ’11 meet her in array. And fight and shout, and shout and fight For North America! The sons, the sons, the sons, the sons, Of brave America! Previous PostBretonnian Men at ArmsNext PostThe Rules with No Name: Action Deck Cards. I might have another post that could change your mind on that score Roly. Intrigued I am. But it will have to be VERY good to beat this one! Actually, there was an AWI movie about the first shot at Lexington that had some great military soundtrack – the British drums coming closer and closer over a period of several minutes. I’ve never found a YouTube video of this scene, though. You might be thinking of the scene from ‘April Morning’, a TV movie about the start of the AWI made in the 80s. Not a bad movie if I recall. I have not seen in over twenty years though. And here’s the end of the scene I had in mind (though this snippet starts too late, as it misses the few minutes of those drums drawing nearer and nearer before the redcoats actually appear). Yes – I remember that now. Never knew the lyrics, excellent! cracking work, one of my favourite 18th cent tunes. I have not seen the ribald version before thanks! Thanks – one of mine as well. 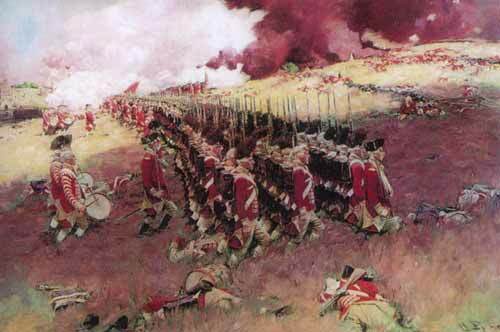 IIRC, no hint of British Grenadiers in my favorite AWI movie, Drums Along the Mohawk. I don’t remember if they play it in Johnny Tremain, but the drill is more accurate than in Revolution or the Patriot.